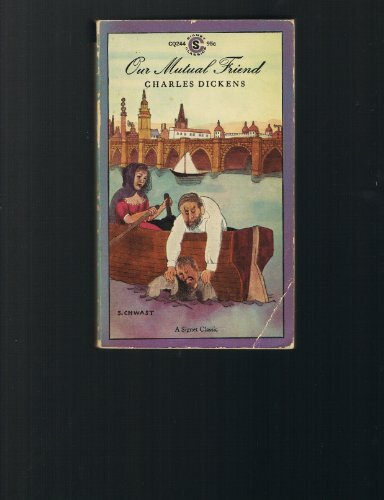 Our Mutual Friend was the last novel Charles Dickens completed and is, arguably, his darkest and most complex. The basic plot is vintage Dickens: an inheritance up for grabs, a murder, a rocky romance or two, plenty of skullduggery, and a host of unforgettable secondary characters. But in this final outing the author's heroes are more flawed, his villains more sympathetic, and the story as a whole more harrowing and less sentimental. The mood is set in the opening scene in which a riverman, Gaffer Hexam, and his daughter Lizzie troll the Thames searching for drowned men whose pockets Gaffer will rifle before turning the body over to the authorities. On this particular night Gaffer finds a corpse that is later identified as that of John Harmon, who was returning from abroad to claim a large fortune when he was apparently murdered and thrown into the river.